There is a seemingly limitless array of industrial control valves, each targeted for a range of fluid applications and fortified with materials and design features specifically suited for meeting the challenges of that application range. 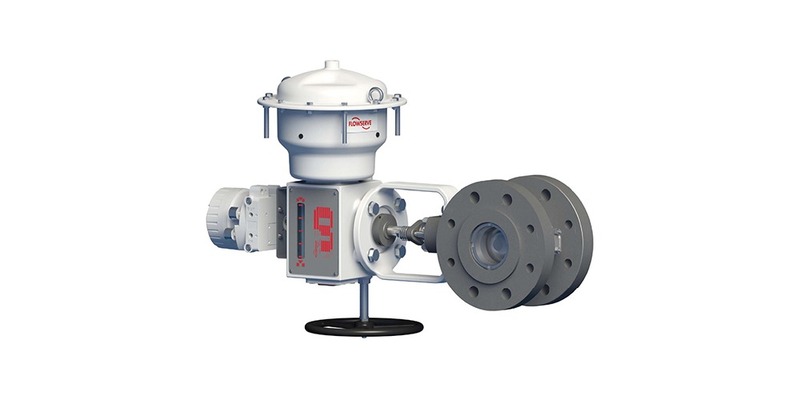 Flowserve, under their Valtek brand, developed a control valve that combines a number of useful design features. The MaxFlo 4 is an eccentric rotary plug valve intended for fluid control operations. The valve has some attractive design features. There is no shaft extending through the flow path, leaving flow unobstructed when the valve is fully open (see the illustration in the document included below). Valve trim provides tight bi-directional shutoff. Metal or soft seat construction is available to accommodate a wide range of applications. A variant provides flange to flange dimensions that allow the MaxFlo 4 to drop in as a replacement for standard size globe valves. High Cv rating may enable use of a smaller valve, when compared to other designs. Precise position control is delivered by the shaft form and plug mounting. Double offset eccentric plug eliminates sliding of plug across sealing surfaces, reducing wear and required seal maintenance. More detailed information is provided in the document provided below. There is a revealing cutaway illustration showing the mounting and movement path of the plug. Share your industrial process control valve requirements and challenges with an application specialist to get the best match of control valve to application. Eccentric Rotary Plug Industrial Control Valve from Instrument Specialties, Inc.